The most successful implant treatment available today, Dr. Cross has been extensively trained in the SMILE Technique. 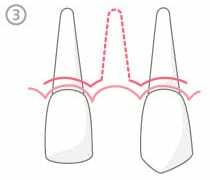 The SMILE Technique, Simplified Microsurgical Implant Lifelike Esthetics (SMILE) Technique is an microsurgical advanced approach to placing dental implants in the anterior zone or front of the mouth. The treatment method is the most successful dental implant procedure in the world today in terms of both in function and esthetics. 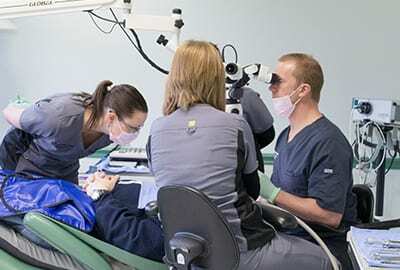 Dr. J. David Cross uses the SMILE Technique for Springfield patients who are good candidates for the treatment and who require dental implants to replace damaged or diseased teeth. 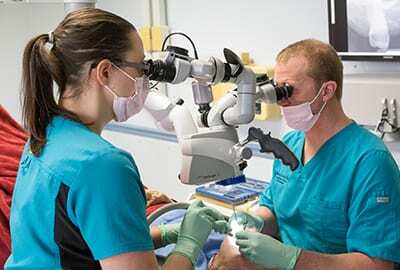 Dr. Cross studied under Dr. Dennis Shanelec, who developed the SMILE Technique, at the Microsurgery Training Institute. Dr. Cross has spent more than fifteen years conducting these types of microsurgical procedures for his own patients and invests heavily in professional development so that those in his care can have the best outcome and experience possible. Dr. Cross may recommend that you have a damaged or diseased tooth extracted and replaced with a dental implant. An implant creates a new, artificial root within the bone. The close bond that develops between the implant and the bone makes dental implants the most durable and lasting restoration available. 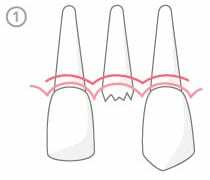 When a tooth is extracted using traditional techniques, it may damage the bone that will be used for the support of the dental implant. As a result, the site may need 6-8 months to heal, particularly if you receive bone grafts. You may also need another 2-4 months after you get your implants before your restorative dentist can place a crown. Most patients wear a removable appliance (a tooth that comes out of your mouth) or another less durable restoration during this time so that the missing tooth isn’t obvious. 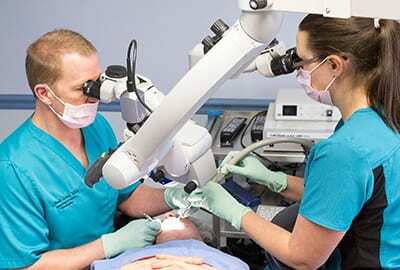 Uses microsurgical instruments to conserve more of the bone around the tooth extraction site. Uses sophisticated, precise microsurgical techniques. Places the dental implant during the same visit that he removes the tooth. 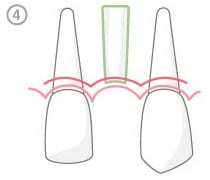 Attaches a custom-fabricated temporary crown to the implant. This crown has the exact same contours as your original tooth. As a result, you can leave your appointment with a complete and natural-looking smile. 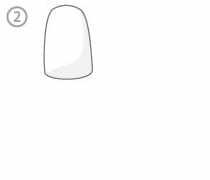 (4) Implant placed at the time of tooth removal. 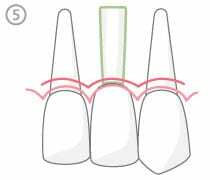 (5) Implant with immediate custom temporary crown placed. Eliminate months of waiting between extracting a tooth, placing a dental implant, and attaching a crown. Your treatment will be completed faster, and you will be able to enjoy the results sooner. Replace a damaged or diseased tooth with a durable, natural-looking temporary crown in a single visit. This microsurgical technique is the most successful dental implant procedure in the world today. It offers patients a 98% success rate. The SMILE Technique allows Dr. Cross to place a dental implant and temporary crown precisely and non-invasively. You won’t have to worry about wearing a removable appliance or a less durable restoration, and you will benefit from greater function and comfort. During your initial consultation with Dr. Cross, he will conduct a comprehensive examination to ensure that you are a good candidate for the SMILE Technique. 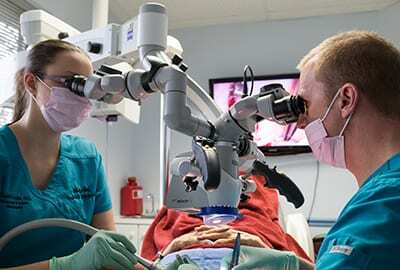 The SMILE Technique requires microsurgery and a periodontist with expertise in this approach. Because Dr. Cross performs his procedures microsurgically, Springfield patients can enter care with confidence. 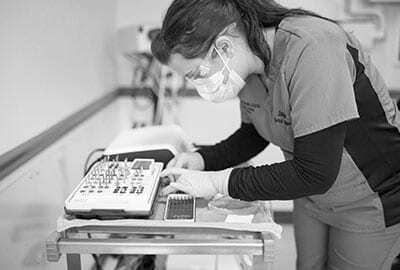 Dr. Cross will gently provide anesthesia to ensure your constant comfort. He will use gentle and precise methods. The surgical microscope and microsurgical instruments will allow him to choose the best location to place the implant and crown. Following treatment, you should be significantly more comfortable than you might be with a non-microsurgical approach. Along with greater comfort, the esthetics of your results will be superior. Dr. Cross will set appointments for follow-up examinations so that he can ensure that you are healing properly. Once the jaw bone has bonded with the dental implant, you will visit your restorative dentist, who will attach your permanent crown. By the end of your treatment, you should have the function of your natural teeth and the esthetics of your natural smile. Does the SMILE Technique only work for certain patients? Almost anyone can benefit from the SMILE Technique. Springfield patients who smoke, have heart disease, or who have other health considerations may still be able to have the treatment. Why doesn’t every doctor provide the SMILE Technique? Doctors must have specialized training in the use of a microscope as part of surgery so that they can see where to perform the treatment. In addition, doctors must have received instruction specifically in the SMILE Technique. The majority of periodontists and oral surgeons do not possess this education. How many other doctors offer the SMILE Technique? Dr. Dennis Shanelec, the creator of the SMILE Technique, has only trained a few hundred practitioners worldwide in this approach. Dr. Cross participates in training with Dr. Shanelec regularly so that he can support his Springfield patients with best practices in their surgery. I have heard about something like the SMILE Technique. Do other approaches offer the same benefits? There are a host of procedures that attempt to duplicate the results that the SMILE Technique offers. Where the SMILE Technique differentiates itself is its well-established, well-proven process and its strict standards for quality. There are over 40 individual steps that Dr. Cross will take as part of each patient’s treatment. The advantages for patients are clear, as the SMILE Technique has proven itself to be the most successful dental implant treatment available. If you have a damaged tooth that requires replacement, you may benefit from a dental implant and the SMILE Technique. Contact Dr. Cross’ office in Springfield for an appointment online or by phone at (217) 793-0196. 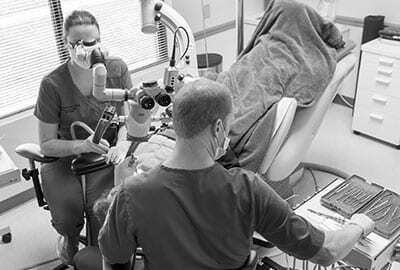 Dr. Cross is one of the few trained periodontal microsurgeons in the United States. Fill out the form below to find out more about procedures that can improve the function and appearance of your teeth. J. David Cross D.D.S. embraces the highest health care values and continually strives to provide the highest quality experience to his community. Dr. Cross offers specialized treatment to patients experiencing gum disease, gum recession, tooth or bone loss. By checking this box you hereby agree to hold J.David Cross, DDS, including its doctors and affiliates, harmless from any hacking or any other unauthorized use of your personal information by outside parties. By checking this box, you also agree to receive email communications from J. David Cross, DDS.